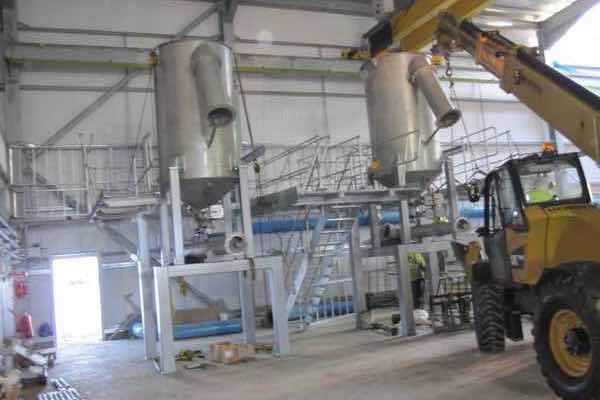 At Wykes we understand that once you’ve purchased your machinery, you want it professionally installed with minimal fuss and a speedy turnaround. We have a team of highly trained site engineers experienced in the safe removal and installation of all forms of mechanical equipment. We can carry out repair work on site or arrange for equipment to be returned to our factory for repair or refurbishment. All work is carried out to the highest standards of health & safety, our site supervisors having the appropriate NEBOSH certification. For larger projects we are able to work to the requirements of the CDM regulations either as Principal Contractor or as a subcontractor. Experience, high standards of work and help with projects of any size. These are just a few of services we can offer to you at Wykes. We understand that no two projects are the same, so if you have specific needs, we can accommodate them. Head over to our contact page and we would be pleased to hear from you. We work to a very high standard at Wykes, which is why we ensure all of our supervisors work to strict health and safety best practices, as well as having sufficient experience/knowledge and appropriate NEBOSH training. No matter the size of your project we can help, from small routine installs to much larger projects. On larger projects we are able to work to the requirements of the CDM regulations either as Principal Contractor or as a subcontractor.